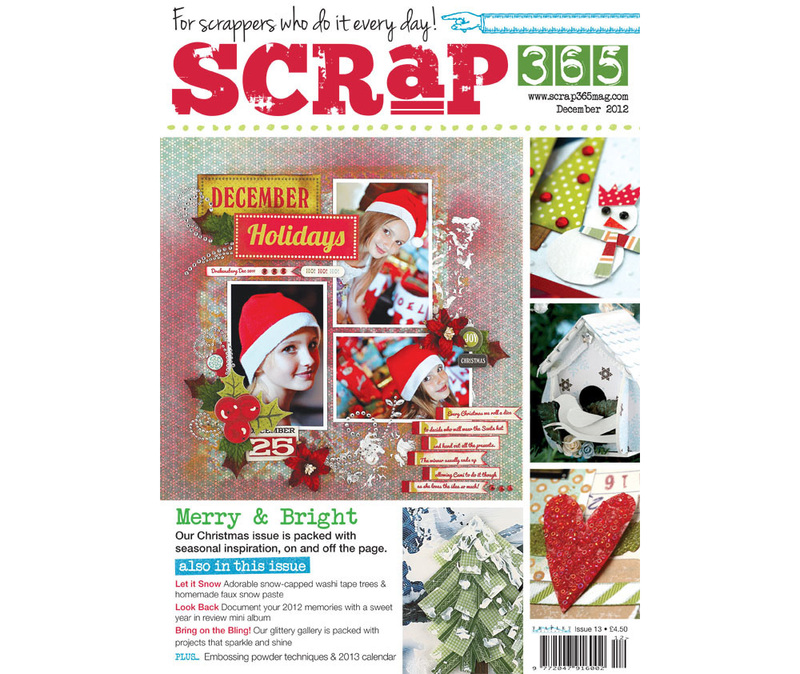 Scrapbookers are amongst the most creative and eager to learn types of crafter, and the content of Scrap365 magazine reflects this, by providing inspirational tutorials and clever, original ideas to make their scrap projects sing! It covers a wide range of articles reaching beyond the traditional 12x12 layout; mini albums, digi scrapping, art journaling and off the page creations all feature prominently. Traditional layouts continue to be a big part of the magazine, but with a focus on adding creativity and techniques. Detailed step-by-step tutorials will sit alongside pages of truly inspirational scrapbooking projects from an international team of talented designers. It covers the whole range of styles from clean and simple, to shabby chic, to grunge – with something to appeal to every type of scrapper. The fresh and modern design of this magazine lets the artwork really shine, showcasing projects with large, clear images allowing the reader to delight in the finer details. December 2012's contains many projects and inspiration including washi tape trees, mini albums and embossing powder techniques.